The ride to Bocketts Farm was great. John led the group, That is me, Dave, George and Mark. Good weather and mild for time of the year. George dropped out at the A217, Kingswood crossover, as the Chipstead Valley ascent I believe knocked the stuffing out of him as he had a chest infection. I trailed the Peleton up the Valley to Kingswood, or alternatively I was a one man Peleton and they were the breakaway group! 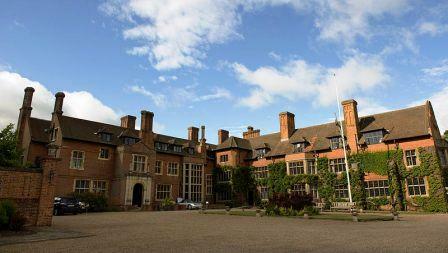 I saw Headley Court, the military hospital rehab centre, on the way down the hill for the 1st time. It is massive. I worked on a major extension project about 2001 when I worked for Mouchel at West Byfleet. Dave surged up the hill to Bocketts Farm entrance with me trailing whilst the others did the wimp short cut. At the Farm we discussed Mark’s 1st trial ride along the Wandle. We all thought it would be a very interesting Thursday run. Mark is to do the full Wandle length about 2 hours each way and report back. Mole next? Not sure if there are any tow paths. Mark suggested Dave did the “Twiddler” time trial next March. It is only 10 miles and every one has the same gearing. Fixed wheel bikes have a slight advantage (less weight, less friction) I understand. Dave has been racing along the Limpsfield Road from the roundabout at top of Botley Hill to Warlingham roundabout. 7 1/2 minutes sounds good to me. Perhaps in future when a Kent ride comes that way we can include in the ride report who did the best time. 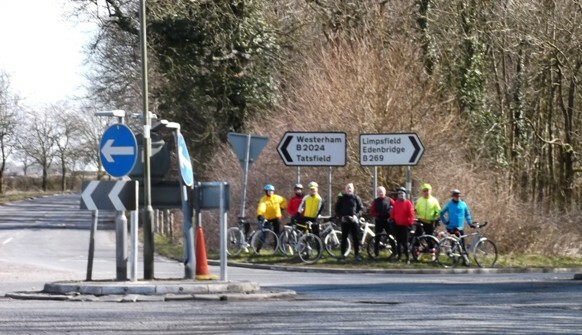 Note from Des: A time trial test along the Limpsfield Road was the subject of my earlier posting at http://anerleybc.org/spring-into-fitness/ It is good to hear that Dave has taken this suggestion on board, and very successfully by reference to his time for the course! The above posting will also tell you a bit more about the Twiddler Time Trial. And here is the roundabout at Botley Hill which marks the end of the time trial course. Good ride back via Epsom race course except the Tattenham Corner High Street back roads diversion had the worse surface I have experienced for a long time. High Street next time. Coming back down Chipstead Valley Road I got away from pursuers and through the main Coulsdon lights in my quest to get Home to Selsdon by 2pm; my domestic curfew time. 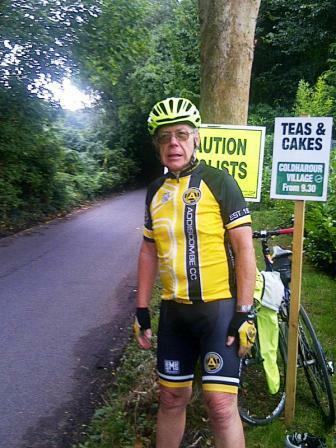 I did the Brighton Road back to 501 and then up Purley Downs Road and Sanderstead Hill passing the church at 1.25pm. My wife,Julie, was pleasantly surprised at my time but now expects me to repeat it next time. Rod for my own back!